Ark Pest Control | The biggest challenge of the future? Barely a week goes past without mention in the media of ‘giant mutant rats’ or ‘venomous spider hordes’ or even ‘killer Asian hornets’ swarming over the land. Are these to be the biggest challenges for the pest controllers of the future? Well, we’ve certainly got mutant rats, but they’re probably not as big as some would like to believe. These are the growing numbers of rats resistant to many of our baits. But do they still pose such a threat now that we can use ‘resistance – busting’ products outside as well as inside buildings? Almost certainly not, so we can cross that one off our lists – for now. How about the venomous spiders, like the false widow spiders that are now to be found throughout the UK? Well, there’s a clue in the name ‘false’ widow. Yes they can bite, but they are not quite the threat of their cousins, the black widows. They’ve been in the UK since 1879 and they haven’t killed anyone yet. A few people claim to have received nasty bites, but far more people are badly affected by wasp stings every year. These spiders are perhaps not the danger that some would have us believe. The ‘Killer Asian Hornets’ have certainly invaded France and caused havoc with bee keepers there, so are almost invariably going to cross the Channel and cause similar problems here. They are believed to have arrived in France in 2003 as hibernating queens, in a shipment of plant pots, so they have the same potential to find their way here. They are, however, smaller than our native hornet and whilst they can certainly pack a sting, as they tend to nest high up in trees, they probably don’t have quite the same potential for harming humans as our native wasps. Their biggest threat will be to beekeepers and their hives, which will need to be dealt with. So what will be the biggest challenge for pest controllers of the future? Already causing major headaches for pest controllers in many parts of the country, there are populations that are resistant to all but the most potent anticoagulants, whilst others are strangely neophobic and avoid going into bait stations and walk around traps. 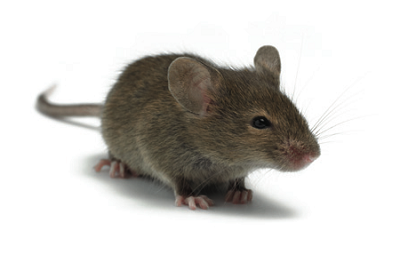 If glue traps get banned (which is a threat that the Pest Management Alliance is fighting), then gaining control of these ‘super mice’ will become even harder. Never underestimate these little pests. Use all of the tools you have available, to monitor, track, exclude and control. We’ve all seen the videos of the incredible swarms of mice in Australia. Could that be the future for us too? Super Mice the real danger!